ITW Nexus's Picatinny QASM-RAMP (Quick Attach Surface Mount - Rail Accessory Mounting Platform) is the perfect accessory for your mounting your GoPro or Contour to Molle. The Picatinny QASM-RAMP is designed to mount, hold and/or organize any/all of your M1913 Picatinny mountable accessories. Introduce this ultra-modular capability to your kit for unlimited mounting options in any location containing 1” sewn webbing. The new Picatinny QASM-RAMP can be used in numerous scenarios, whether it is mounting your incident camera, flashlight, organizing your range bag, or storing your optics and other accessories. The Picatinny QASM-RAMP features a large base surface area for supporting heavy accessories and is designed to expand your mounting options beyond your weapons and helmet rails. Your sidearm rail-mounted flashlight can now be used anywhere. Convert your systems using the included Deluxe Picatinny Mount and your options and modularity are endless. 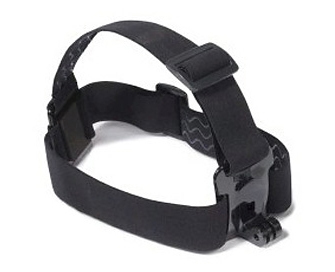 Comes with a GoPro deluxe picatinny mount and QASM molle adapter for mounting on any military or police vest. NOTE: QASM Molle Adapter only available in desert color. The displayed shipping price is for '1' Deluxe Military Vest Mount for 1" Webbing or Kevlar. To find the shipping cost for all your items, please view your cart.